These experts on the science of gratitude can deliver keynotes, workshops, and other presentations to audiences of various sizes. This list includes talks they have already prepared or delivered, but they are able to modify those talks—or develop new ones—depending on the needs of their audience. Please note that we have an updated speakers page with current rates and talks. You can visit it here. Dr. Bono is a co-author of the book Making Grateful Kids: The Science of Building Character, associate editor of The Journal of Positive Psychology, and director of the Youth Gratitude Project, which is part of the GGSC’s Expanding the Science and Practice of Gratitude. He has been a pioneer in the scientific study of gratitude, particularly in identifying the causes and benefits of nurturing gratitude in youth and in schools. Dr. Bono is currently developing and testing a gratitude curriculum targeting preschool/TK and grades 4 through 12 throughout the United States, with the broad goal of providing schools with resources to support students’ well-being, character, and social-emotional development. He has spoken at schools and to educators across the country about his work. 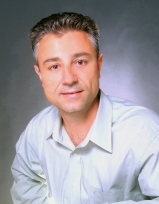 Dr. Bono received his Ph.D. in applied social psychology from Claremont Graduate University. Most recently, Dr. Bronk’s research has explored the ways young people discover purpose in life and the relationship between purpose and healthy growth. She has also been exploring the connection between purpose and the development of gratitude in youth. 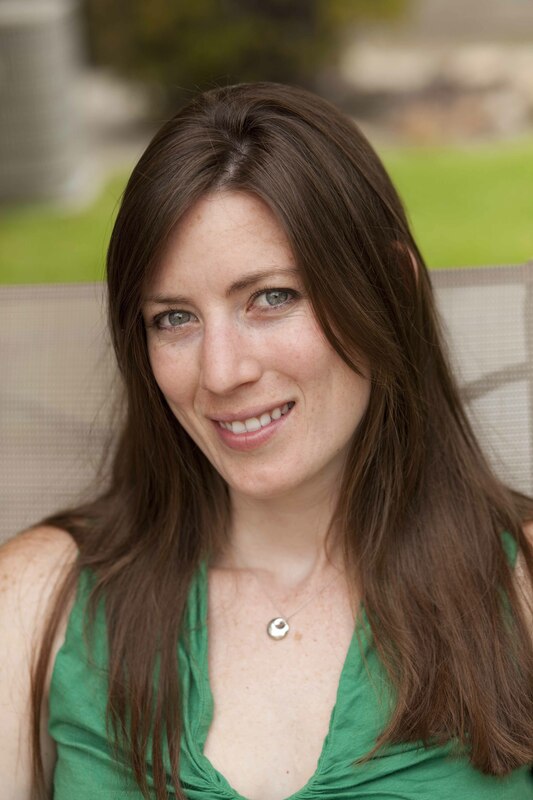 After graduating with a BS from Northwestern University, Dr. Bronk earned her doctorate from Stanford University and completed a postdoc at the Stanford Center on Adolescence. Dr. Emmons is arguably the world’s leading expert on the science of gratitude. He is the author of over 200 original publications in peer‑reviewed journals or chapters and has written or edited five books, including Thanks! How Practicing Gratitude Can Make You Happier and The Little Book of Gratitude. Since earning his Ph.D. in personality psychology from the University of Illinois at Urbana‑Champaign, Dr. Emmons has been a leader in positive psychology and a pioneer in the study of gratitude, serving as the founding editor and editor-in-chief of The Journal of Positive Psychology. His research on gratitude and happiness has been featured in dozens of popular media outlets including The New York Times, The Wall Street Journal, Time, NPR, and PBS. Dr. Emmons can speak on gratitude, joy, happiness, forgiveness, grace, and humility—which he has done at schools, Fortune 500 companies, and other organizations around the world. Why aren’t we nicer to the people close to us, and what can we do about that? Dr. Gordon studies the unique roles that prosocial emotions, cognitions, and behaviors (e.g., gratitude, perspective-taking, responsiveness to a partner’s needs) play in promoting healthy relationships, as well as the psychological, physiological, and biological factors that undermine such qualities. Dr. Gordon also examines sleep and seeks to identify the ways in which lack of sleep hurts our social world, such as by making us less grateful. Dr. Gordon has worked closely with the Greater Good Science Center as both a graduate student and postdoctoral scholar; she was one of three postdocs supported by the GGSC’s Expanding the Science and Practice of Gratitude project. She writes frequently for Greater Good and has published over a dozen research articles focused on topics such as perspective-taking, gratitude, conflict, sacrifice, depression, and sleep. In addition to award-winning university teaching, Dr. Gordon has given talks to a variety of audiences, including hospital staff, educators, and therapists, and researchers. She earned her doctorate in Social-Personality Psychology from the University of California, Berkeley. 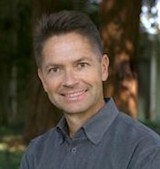 Leif Hass, M.D., is a family practice doctor at Alta Bates Summit Medical Center (ABSMC) in Oakland. 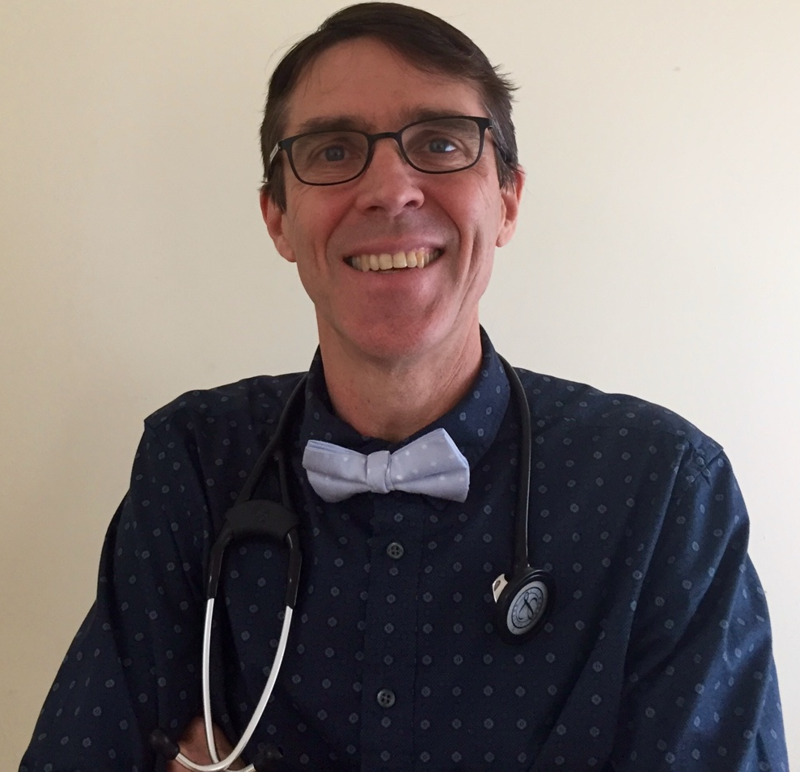 In addition to his work as a hospitalist, he is clinical faculty for UCSF School of Medicine and the ABSMC chaplain training program. His interest in patient and provider well-being and in the culture of health care organizations has led to a deep understanding of the role of gratitude in health and health care. He also serves as advisor to the Greater Good Science Center on health care issues. 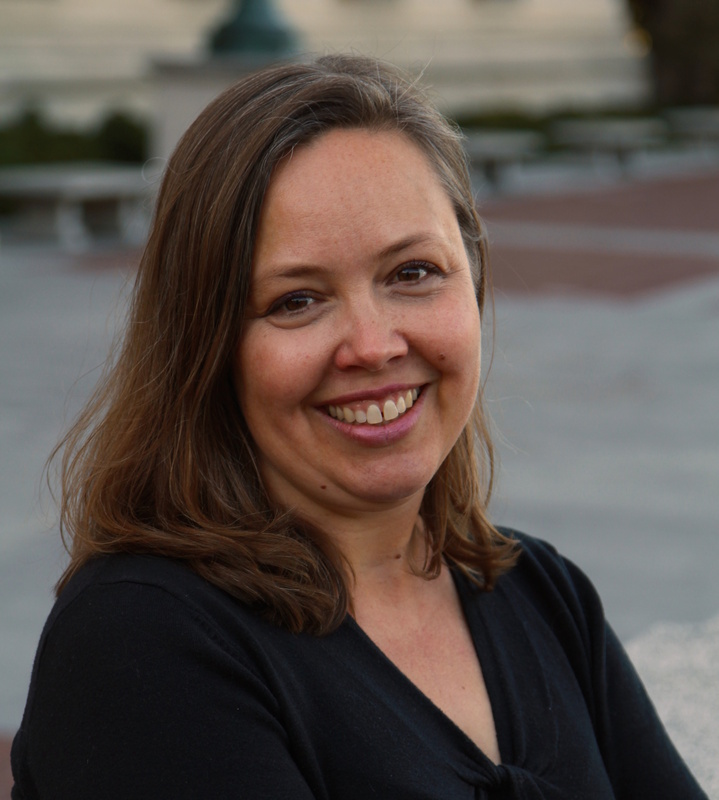 Dr. Simon-Thomas is the science director of the Greater Good Science Center, where she oversees its Expanding the Science and Practice of Gratitude project, which has been supporting and disseminating cutting-edge research on gratitude. She is also a co-instructor of the GGSC’s Science of Happiness online course, which has enrolled more than 450,000 students and has measurably increased students’ levels of happiness and life satisfaction. In addition to studying the neuroscience of well-being, Dr. Simon-Thomas is also a skilled teacher, lecturing frequently on topics such as gratitude, compassion, happiness, and mindfulness. Her talks zero in on the keys—and benefits—of social connection and caregiving, making science feel engaging and personal. 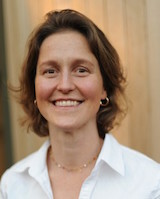 Dr. Simon-Thomas earned her doctorate in cognition, brain, and behavior at UC Berkeley. Dr. Zakrzewski is the education director of the Greater Good Science Center. Her articles, talks, and workshops provide science-based ideas for promoting the social and emotional well-being of students, teachers, and administrators, as well as methods for creating positive school cultures. 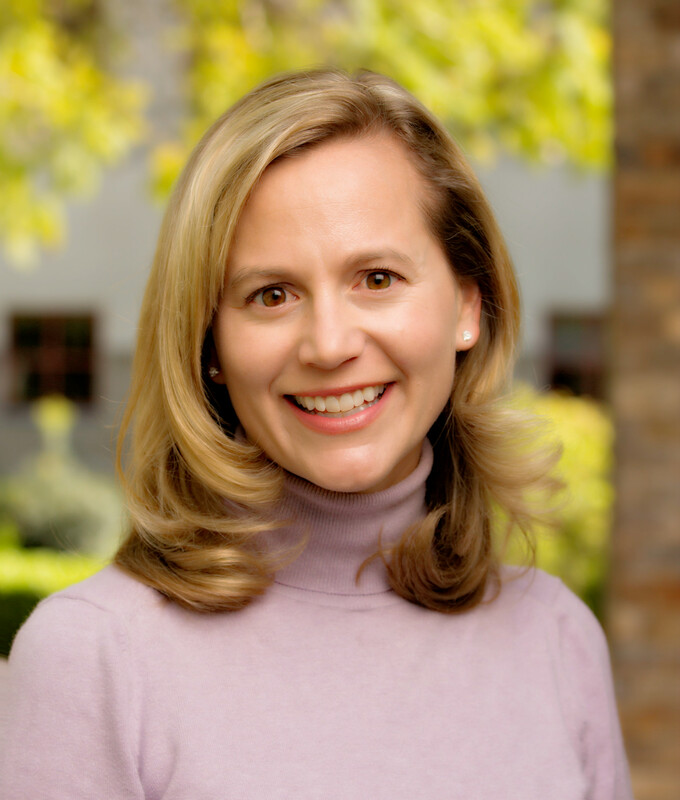 A former teacher and school administrator, Dr. Zakrzewski earned her Ph.D. in Education and Positive Psychology from Claremont Graduate University. Research over the past two decades has demonstrated that gratitude is important for promoting individuals’ well-being, but only recently has this research focused on youth. In this talk, Dr. Bono shares findings from his research examining gratitude and mental health outcomes of 10-14 year olds over a four-year period. He has found that gratitude is associated with improvements in happiness, life satisfaction, hope, and meaning in the lives of teens. The aim of this talk is to explain why gratitude may be linked to helping teens thrive in life. In this talk, Dr. Bono explains how gratitude may play an important role in positive youth development, specifically by nurturing kind, helpful—or “prosocial”—behavior and reducing antisocial behavior. He explores why and how gratitude helps to reduce delinquent and antisocial behavior over time and helps youth develop more positive skills that contribute positively to their communities. This workshop shares recent findings on different types of appreciation and provides guiding principles that teachers and school staff can use to help students appreciate everyday events. It summarizes research suggesting that gratitude and appreciation among youth promote greater emotional well-being, self-awareness, and motivation in students and support their relationships with peers and with teachers. The workshop focuses on simple strategies that can complement existing lessons and can be used to promote appreciation in children and teens. Different versions of this workshop can be tailored to preschool, elementary, middle, and high school settings. This workshop outlines recent scientific evidence about how gratitude helps build good character in youth. Specifically, it focuses on strategies that can be used to promote gratitude in children during the primary and secondary school years, such as modeling and scaffolding grateful thinking and action, building supportive and trusting social relationships, and establishing habits of gratitude to better cope with stress and improve everyday well-being. Given the lack of gratitude research with children, interactive activities will be done to help teachers and staff apply a grateful thinking curriculum based on an initial research study with 8-11 year olds that Dr. Bono conducted. It will conclude by exploring the implications and potential benefits of gratitude for schools. Gratitude has been associated with a variety of positive psychological outcomes, including happiness and well-being. However, it may also be associated with having a meaningful and noble purpose in life. In this talk, Dr. Bronk shares the growing body of theoretical and empirical research that more fully explains the mechanism through which fostering gratitude can nurture an enduring and meaningful sense of purpose in life. Dr. Bronk will also discuss strategies that parents, teachers, mentors, therapists, and others can use to help nurture gratitude and purpose in the lives of young people. Young people with a clear purpose in life are moving toward a personally meaningful, far-horizon aim that is inspired by a desire to make a positive difference in the broader world. A growing body of research finds that purpose is related to a wide range of psychological and physical indicators of well-being; however, studies also find that purpose is rare. Only about one in five adolescents reports leading a life of purpose. For the past five years, Dr. Bronk and members of her research lab have worked to design and test activities and conversations that adults can engage in with youth to help them discover a meaningful purpose for their lives. In this talk, Dr. Bronk outlines a series of empirically-supported steps that parents, teachers, mentors, therapists, and others concerned about the well-being of young people can take to help youth discover their path to purpose. Across the life span, research has shown that gratitude generates a positive ripple effect through every area of our lives, potentially satisfying some of our deepest yearnings—our desire for happiness, our pursuit of better relationships, and our ceaseless quest for inner peace, health, wholeness, and contentment. In this talk, Dr. Emmons will explain how gratefulness can empower individuals to make better choices, particularly in the realm of health care. He will share research indicating that the practice of gratitude can have dramatic and lasting effects on health: It can lower blood pressure, improve function of the immune system, reduce risk of heart problems, increase happiness, and decrease depression. He will also explore the mechanisms linking the practice of gratitude with these key health outcomes. The grateful mind reaps a massive advantage in life: It makes you happier, boosts your work and productivity, increases your energy levels, and improves your health and relationships. In this talk, Dr. Emmons will share the research behind these findings and examine how fostering gratitude in the workplace can sustainably impact you and your team’s performance. What factors permit and promote gratitude at work, and what hurdles and hindrances does gratitude face? He will also explain how we can all weave gratitude into our daily life both at work and at home, strengthening our communities and ourselves. Gratitude clearly matters for our personal well-being, but how can we get more of it? The grateful state of mind can be fleeting, difficult to sustain over the long haul unless practiced with attention and intention. This workshop will offer practices and techniques to foster gratitude every day. Dr. Emmons will present evidence-based prescriptions for helping both our clients and ourselves in cultivating a grateful life. The practical tools he shares can be used to foster gratitude at almost any opportunity during daily life. Positive emotions are critical for our health and well-being. In this talk, Dr. Gordon discusses the science of positive emotions, focusing on the benefits of awe and gratitude for health, well-being and relationships. As part of this talk, she provides practical, evidence-based tips for easily cultivating more awe and gratitude in daily life. The science of gratitude robustly shows that gratitude is good for your health, well-being, and social relationships. But how do you effectively cultivate gratitude into your everyday life? In this talk, Dr. Gordon will provide a summary of the research on gratitude after which she will focus on the practicalities of how best to cultivate more gratitude in everyday life. Not every gratitude practice will work for everyone, and simply being told to “be more grateful” may not work for many people. Here, Dr. Gordon goes over why gratitude is good along with the do’s and don’ts of practicing gratitude so that everyone in the audience will leave with the tools they need to cultivate more gratitude in their daily lives. Healthy relationships bring joy, support and security to our lives, making people happier and healthier physically and mentally. Unhealthy relationships can cause stress, loneliness and pain and wreak havoc on our health and well-being. But even the happiest, healthiest relationships hit ruts sometimes. In this talk, Dr. Gordon brings together the best of the relationships research to highlight key factors that help people maintain healthy, happy relationships. Longer versions of this talk will include practicing 3-5 exercises for boosting relationship quality that can easily be implemented into everyday life. Research shows that expressing gratitude is good for your health—both emotional and physical. This talk, by physician Hass, focuses on appreciating gratitude’s role in health and well-being and learning to experience it as a healthcare provider. In this talk, Dr. Hass explores a new paradigm in managing heart disease and how resilience and gratitude fit in. In this talk, Dr. Hass talks explains the biology of compassion and examines why the way we go about delivering health care can make it harder to feel the compassion we should. Then he offers ways to use mindfulness to combat these paradoxes. Scientists have tied gratitude to greater health and happiness, as well as more depth and joy in social relationships at home, work, and in communities. From an evolutionary perspective, gratitude is considered formative to the prosocial interactions that are instrumental to humans’ welfare and survival. In this presentation, Dr. Simon-Thomas will offer the scientific perspective on gratitude: how it’s defined, studied, and strengthened, as well as ways that these findings can be translated into real-life techniques for fostering gratitude. In this talk, Dr. Simon-Thomas gives an introduction to eight keys to a meaningful life: optimism, mindfulness, connection, gratitude, compassion, kindness, play, and awe. The talk goes on to cover some important scientific concepts that help to explain why these factors are so important to the meaningful life, including “the prosocial nervous system,” how we form connections and spread goodness via touch, and how kindness boosts happiness. In this talk, Dr. Simon-Thomas explains why altruism and social connection help support learning in the classroom. She explains the importance of kindness and connection from an evolutionary perspective, identifying brain areas associated with caregiving and compassion, presenting social neuroscience and other research demonstrating the benefits of kindness, and explaining research on the benefits of social connection for well-being. In this talk, Dr. Simon-Thomas defines what compassion is—and isn’t—and presents the brain circuitry involved in compassion. She discusses research related to emotion regulation, self-efficacy/optimism, and affiliation/care/nurturance, and concludes with research demonstrating the benefits of compassion. Scientists have tied gratitude to greater health and happiness, as well as to more depth and joy in social relationships at home, work, and in communities. In this workshop, Dr. Simon-Thomas will present the state of the field of gratitude research, with a particular emphasis on the benefits of gratitude and approaches to fostering it. Participants will engage in three to four gratitude exercises, both individually and in small groups. They will also explore ways to tailor known gratitude-enhancing activities to the organizational context, or generate entirely novel approaches. The workshop will close with a practical, strategic session dedicated to implementation and measuring the impact of fostering gratitude within an organization. Students today struggle with perfectionism, low resilience, and trauma. In this talk, Dr. Zakrzewski dives into the science of a meaningful life for kids, including practices to help kids foster hope, self-compassion, mindfulness, and gratitude.